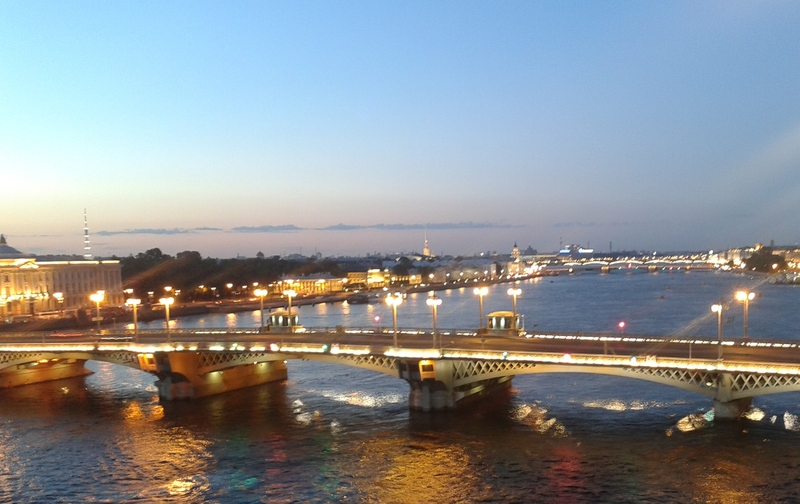 Some forty years after my first visit to Russia I arrived in Saint Petersburg today. 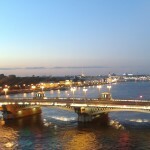 This time I’m on a cruise ship which has docked at Английская набережная (English Embankment) on the Neva River in the heart of the city, near Благовещенский мост (Annunciation Bridge). Last time, when Russia was part of the USSR, we needed a visa and were not permitted to venture outside Moscow. However, we were free to wander around the city at will. This time, no visa is required for cruise ship visitors but we are not permitted ashore unless escorted by an official tour guide. It feels frustrating to be spending three days here under such restrictions.